The ‘Warhammer: Treasure of the Old World’ is now available for purchase. 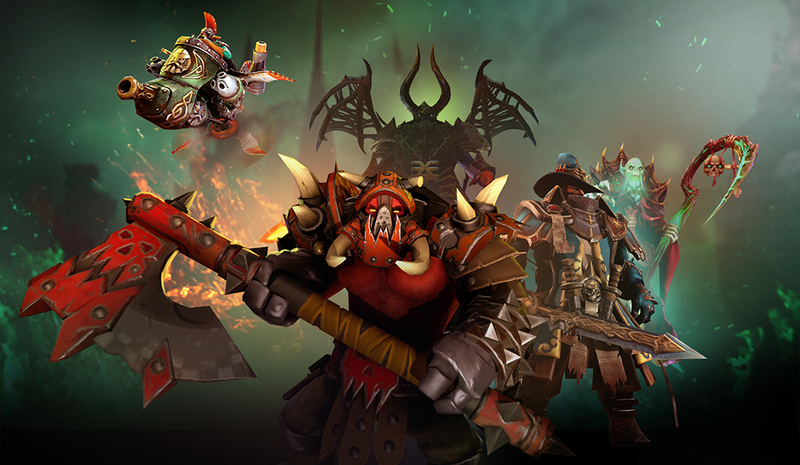 Filled with thirteen Dota 2 Workshop selections that follow the visual themes of Games Workshop’s Warhammer Fantasy Battle universe, this treasure contains new item sets for Necrophos, Kunkka, Doom, Disruptor, Beastmaster, Centaur Warrunner, Alchemist, Gyrocopter, Sniper, Broodmother, Pudge, Winter Wyvern, and Axe. With the similar aesthetic spirit shared between the Dota and Warhammer universes, these new additions from the Dota 2 Community will look right at home in the blood-soaked lanes of the battlefield. As a special bonus, if you pre-purchased Total War: WARHAMMER on Steam prior to May 24, you will also find a special version of this treasure in your Dota 2 Armory that contains visually-unique pre-purchase-only versions of the item sets. Thank you to all of the Dota 2 Workshop artists who submitted designs for consideration. The number of quality submissions could not be contained within a single treasure, and we hope to add more of these sets in the future.